How valuable is the very first copy of the New Zealand Herald, from 13 November 1863? Over the years, many people have claimed to have a copy of the very first New Zealand Herald. As there are only two known full copies, one with the publishers and the other with the National Library in Wellington, any other copy would be extremely valuable. Ref: excerpt from New Zealand Herald website, 27 February 2015. How then, can they be sure if the copy is indeed an original from 1863? Today on Heritage et AL we are featuring the T.A. Bishop Collection of stereographs that are held at the West Auckland Research Centre. 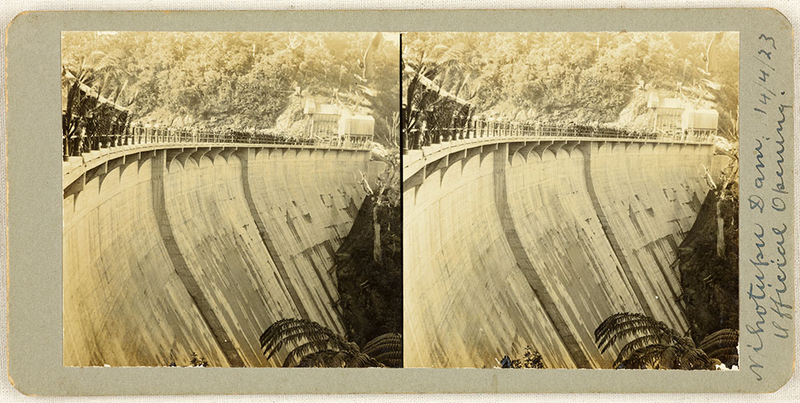 This collection consists of 767 stereograph cards from the early decades of last century. These images provide a valuable record of the lives of early settlers of West Auckland in general and specifically in Titirangi. For instance, the Bishops attended the openings of the Upper Nihotupu Dam and also the Titirangi Soldiers Memorial Church. Ref: James D. Richardson, Opening of the Nihotupu Dam, 14 April 1923, West Auckland Research Centre, Auckland Libraries, TAB-P-0254. Ref: James D. Richardson, Opening of Titirangi Soldiers Memorial Church, 18 May 1924, West Auckland Research Centre, Auckland Libraries, TAB-P-0350. The Inside Story – tales behind the names in Massey. We often don’t give a second thought to the stories behind the names of our roads, schools, creeks and more, but delving into the history of Massey I have unearthed some interesting facts and anecdotes. The suburb itself was named in 1915 after one of New Zealand’s most significant politicians, the then Prime Minister William Ferguson Massey (1856-1925). Prior to that, the sparsely populated area was known as Lawsonville, after settler John Lawson who had an orchard by the creek that also bears his name. Elizabeth Freeman (nee Gregory), who was born in Lawsonville in 1898, described it as, “wilderness, supporting a few cottages…a windswept, low [manukau] scrub desolate area, the ground being exceptionally poor”. 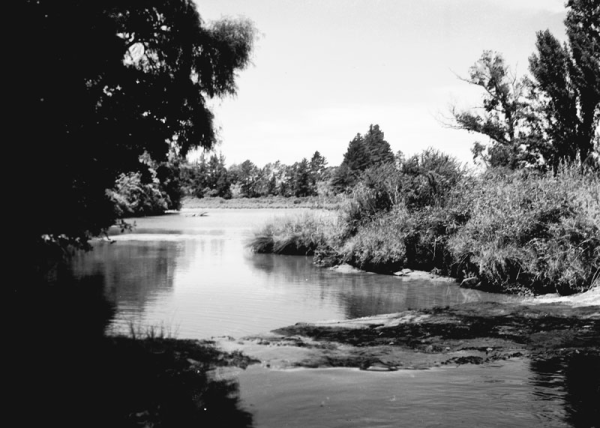 Lawson’s Creek was home to a number of gum diggers who built simple whare on its banks. Read an 1889New Zealand Herald article reporting the fate that befell one such man. To celebrate the Lunar New Year and the beginning of the Year of the Ram Auckland Libraries are running a series of events across the region. If you are in the central library do pop into the Newspaper Reading Room on the second floor and have a look at the beautiful display Heritage & Research staff created featuring a traditional tea set. If you can't make it into the library have a look online at Auckland Libraries newly launched Chinese Facebook page. To celebrate the Year of the Snake, two years ago, we wrote about our Historypin collection documenting Chinese communities in Auckland and also more broadly about Chinese resources available at Auckland Libraries. 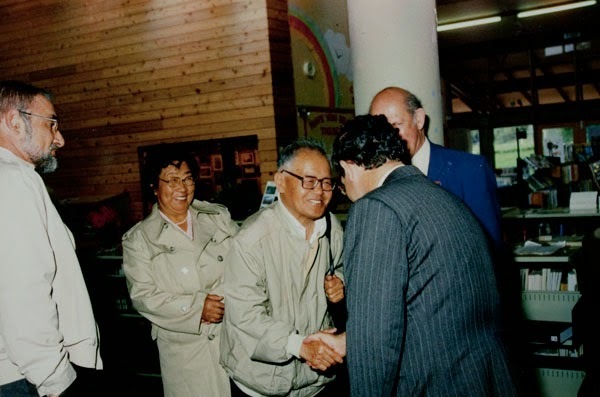 The image below shows Rewi Alley’s son Allen Alley at the opening of a specialist Chinese collection, named ‘The Rewi Alley Collection’ at the Manurewa library in 1989. This was an appropriately named collection as Rewi’s brother Geoffrey was New Zealand’s first National Librarian. Ref: NZ Truth, 13 June 1929, Page 7. There have always been cross-dressing women in New Zealand, many of whom have worked in traditional male jobs, and lived in lesbian relationships. Occasionally in the past, they came to the community’s attention after being charged for criminal offences such as acting under false pretences. Hokitika-born Bertha Victor was taken into custody for vagrancy in Sydney, in 1906. Known as Bert Rotciv (Victor spelt backwards), she continued to cross-dress upon her return to New Zealand the following year and was charged several times for being a rogue and a vagabond, and for drunkenness while “masquerading in male attire”. Ref: NZ Truth, Issue 81, 5 January 1907, Page 5, "Bert Rotciv". 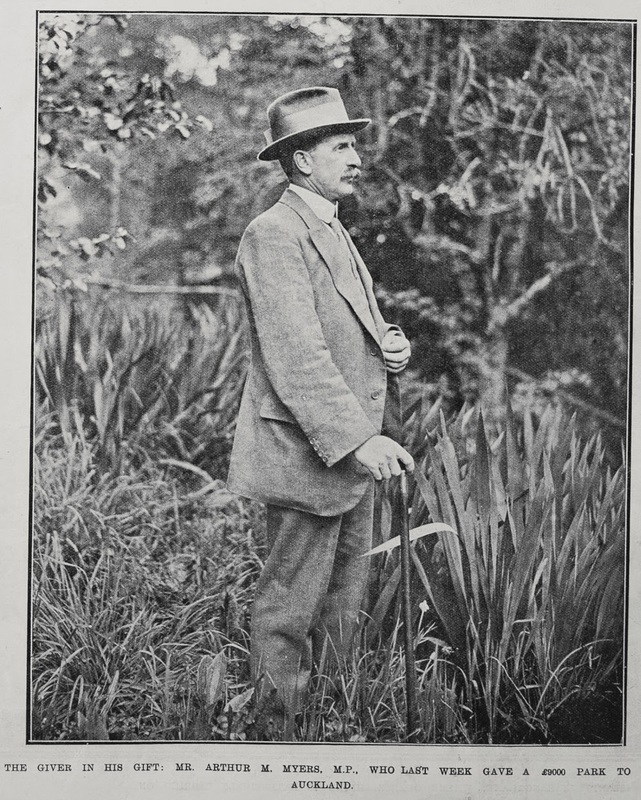 In 1913 Arthur Myers, M.P., and former Mayor of Auckland gifted the city £9000 for the purchase of a gully in central Auckland with the intent to turn it into a park for the people of Auckland. Ref: Auckland Weekly News, The giver in his gift, 9 October 1913, Sir George Grey Special Collections, Auckland Libraries, AWNS-19131009-48-5. This year Auckland Libraries remembers it is 100 years since New Zealand’s first major baptism of fire during the First World War when our troops landed at Gallipoli on 25 April 1915. To commemorate that event Sir George Grey Special Collections staff are working to make the Auckland Weekly News Supplement photographs from 1915 more searchable for researchers, librarians and readers who look at the Heritage Images in our Digital Library. These photographs feature events and people from all major war fronts but also include New Zealand personalities and scenes. How our attitudes to the people who were then our enemies have changed during the past 100 years! But back then Auckland Weekly News caption-writers jingoistically stirred up public hatred for the Germans, contempt of the Turks and mockery of the Austrians. 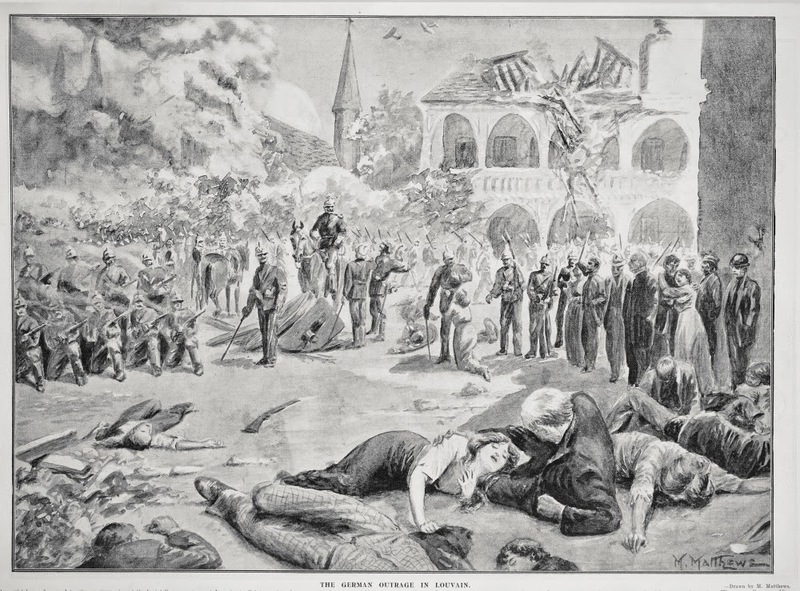 The depths of German depravity were unfathomable as this propaganda cartoon of German troops massacring Belgian citizens in Louvain shows. 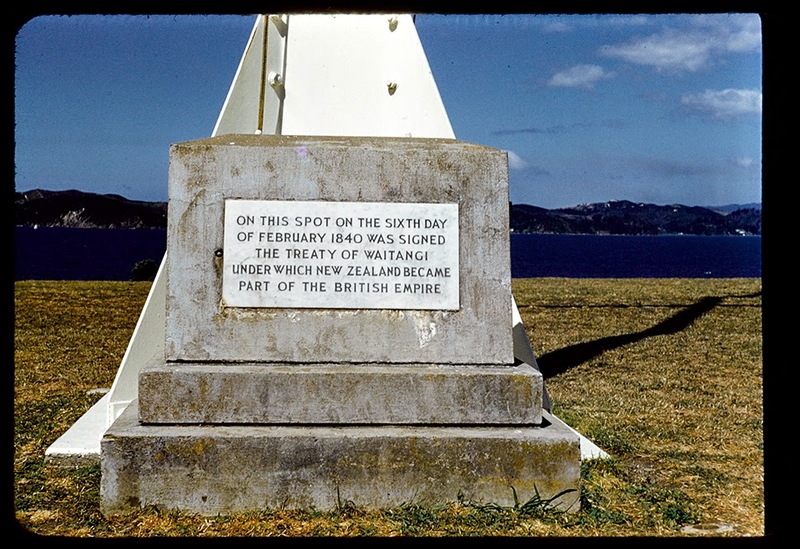 Friday this week is the 6th of February, Waitangi Day, which, this year, marks the 175th anniversary of the signing of Te Tiriti o Waitangi / the Treaty of Waitangi. Ref: Ron Clark, Flagstaff, Waitangi, 1960s, Sir George Grey Special Collections, Auckland Libraries, 1207-1373. Ref: F. Douglas Mill, Treaty House at Waitangi from the air, February 1934, West Auckland Research Centre, Auckland Libraries, FDM-0337-G.